Great value is the criterion - bang for buck. This came as manufacturer refurbished from Argos top floor but it is basically new. Love the wifi speed which is almost as quick as when hard wired. This model has an RJ45 port which I find essential but so many laptops now don't have them. The surface finish is superb. Not sure if I miss having a DVD drive built in. Love the matte screen - it was an unexpected bonus. Keyboard is clicky but that's fine. Runs really cool - that was a welcome surprise too. It has a generous screen size, long lasting battery but the key pad is so non responsive. 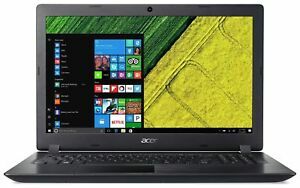 I love it, brilliant seller, the computer is an update from my last Acer and its brilliant, would recommend to buy. Bought it for my daughter and has only used it several times because she has only received it yesterday and so far she is happy with how it performs.